The human organism is an integrated network of interconnected and interacting organ systems, each representing a separate regulatory network. The behavior of one physiological system (network) may affect the dynamics of all other systems in the network of physiologic networks. Due to these interactions, failure of one system can trigger a cascade of failures throughout the entire network. We introduce a systematic method to identify a network of interactions between diverse physiologic organ systems, to quantify the hierarchical structure and dynamics of this network, and to track its evolution under different physiologic states. We find a robust relation between network structure and physiologic states: every state is characterized by specific network topology, node connectivity and links strength. Further, we find that transitions from one physiologic state to another trigger a markedly fast reorganization in the network of physiologic interactions on time scales of just a few minutes, indicating high network flexibility in response to perturbations. 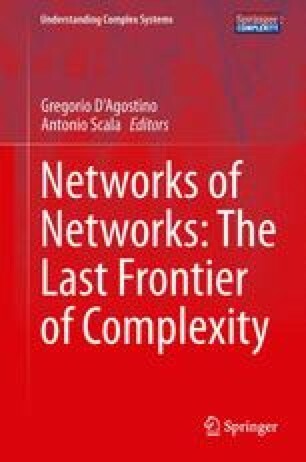 This reorganization in network topology occurs simultaneously and globally in the entire network as well as at the level of individual physiological systems, while preserving a hierarchical order in the strength of network links. Our findings highlight the need of an integrated network approach to understand physiologic function, since the framework we develop provides new information which can not be obtained by studying individual systems. The proposed system-wide integrative approach may facilitate the development of a new field, Network Physiology. We thank our collaborators A. Bashan, T. Penzel, J. W. Kantelhardt, S. Havlin, A. Y. Schumann and P. Bernaola-Galván. We acknowledge support from National Institutes of Health Grant 1R01-HL098437, the US-Israel Binational Science Foundation (BSF Grant 2012219), the Office of Naval Research (ONR Grant 000141010078) and the Brigham and Women’s Hospital Biomedical Research Institute Fund. R. P. Bartsch acknowledges support from the German Academic Exchange Service (Deutscher Akademischer Austauschdienst Fellowship).